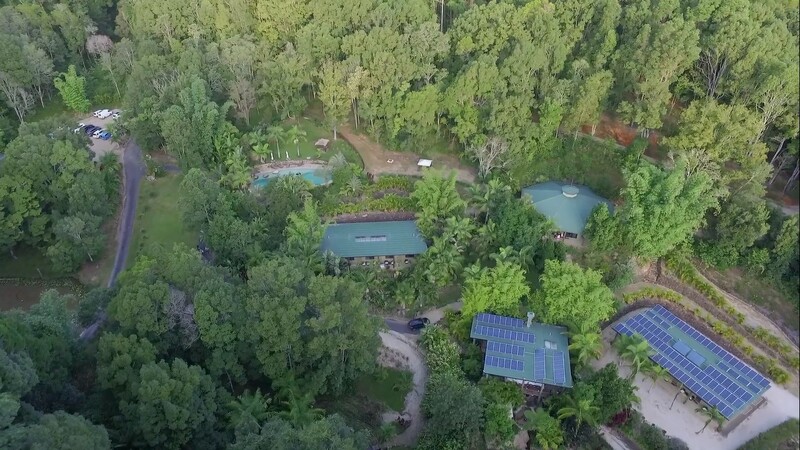 Gymea Eco Retreat & Spa is a dedicated Group Retreat Centre situated on 46ha (113 acres) of lush rolling rainforest located in the foothills of Mt Warning – known by members of the traditional owners of this land, the Bundjalung Nation as Wollumbin. Mt Wollumbin is consider to be a sacred mountain by the Bungjalung people and certainly those who live and visit this area often remark on the energy of these lands. Perhaps the two are related? 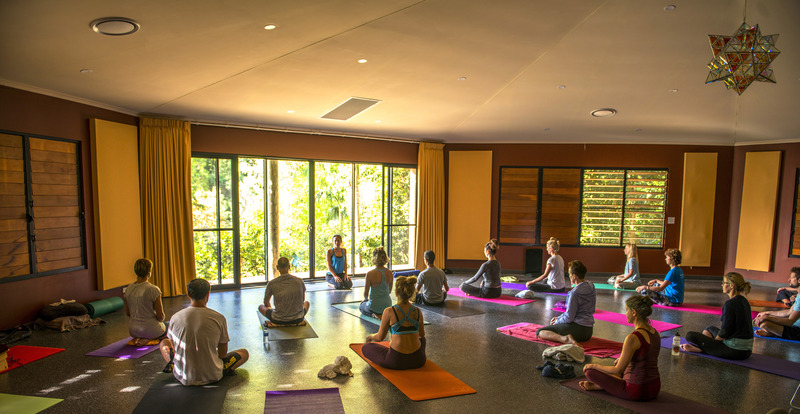 The Group Retreat Centre of Gymea Retreat features 20 eco-friendly double or single accommodation rooms, each equipped with their own en-suite shower and toilet, giving the Gymea Group Retreat Centre a total capacity of up to 40 guests. Other facilities include a full commercial kitchen, inside and outside dining spaces, large Octagonal meeting / meditation / yoga space and a fully equipped Healing Day Spa, complete with sauna, steam room, magnesium plunge pool and ozone hydrotherapy Jacuzzi or spa. 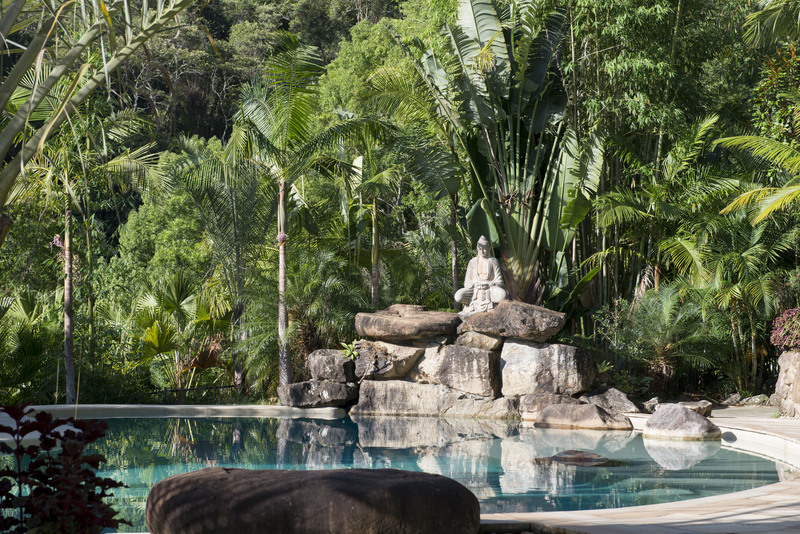 Other facilities include a 20m long resort style magnesium mineral pool. Super relaxing for you and good for the environment. 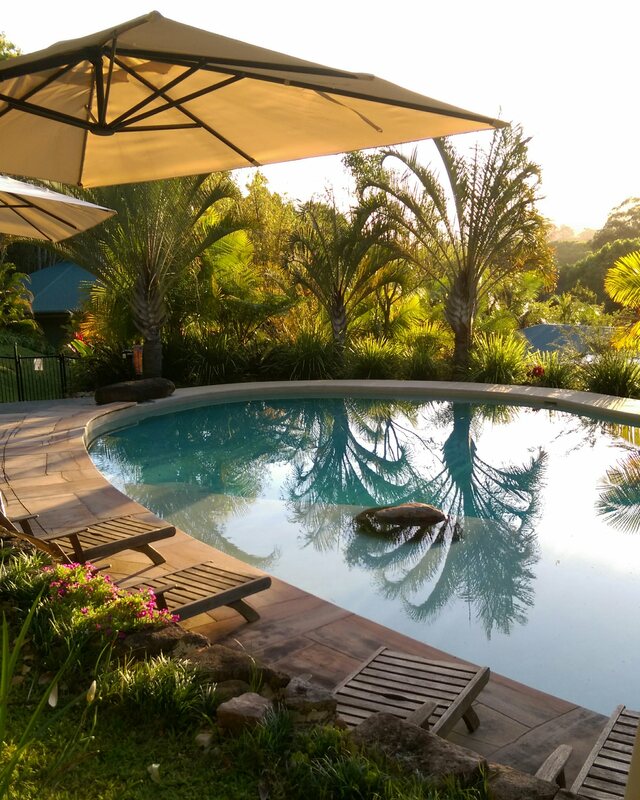 The Gymea Group Retreat Centre is big on being good for the environment and as such we steer away from the use of harmful chemicals for washing, cleaning, disinfecting and weeds / pest control. We also stay away from toxic paints and finishes, and we are not big on creating landfill so we take care to minimise waste and attempt to compost and reuse everything. On the consumption end we produced 40 Megawatts of solar energy in 2016, which represents almost 90% or our electric needs for that year 🙂 Here is a link to our solar production for the last couple of days or see our annual solar production. You can see in the photo above our 128 solar panel array arranged on our buildings that give us a combined generating capacity of 33.0 kW (kilowatts). Further to our solar we also collect all of our water needs from rain, and purify the water using a the sustainable / non-chemical approach using UV and a bag filtration system.